I am continuing with my summer themed cards today. I just can't imagine that school will start and fall will arrive soon. 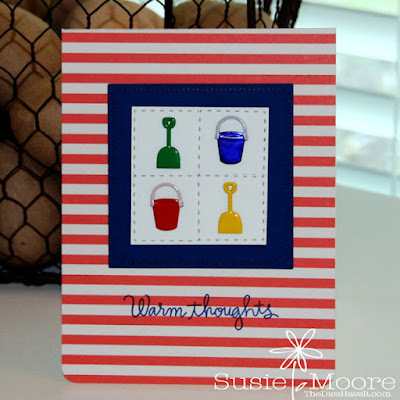 This bright and cheerful card is adorned with some fun Eyelet Outlet Bucket and Shovel brads and of course sports a "warm thoughts" sentiments. Summer where I live is VERY warm! !